I am designing an battery powered instrument with around 20-40Ah 3S li-ion batteries in it along with a 10A 3S(12.6v) external charger. Due to ease of availability and the current capacity I have used an IEC 60320 connector to charge the battery. My problem is that the same connector is a standard connector used for AC power usually for PC's and other electronics. I don't want someone to plug in a power cord directly in here because it is directly connected to the battery. so is there any smarter way of doing this? It's a really bad idea to use a standard connector type for a non-standard purpose, especially if the consequence of connecting a standard cable (i.e. AC mains) to your nonstandard equipment could be hazardous. Wikipedia has a good overview of connectors typically used for DC power. 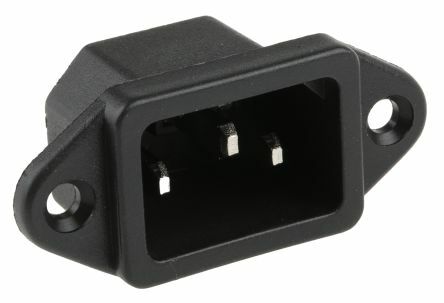 As the article notes, 'barrel jack' connectors are usually only rated for a few amps, although they are seen on laptop power supplies at higher currents. Out of the choices in the Wikipedia article I would suggest you use a 4-pin XLR connector (chassis plug and line socket), wiring pins 1+2 negative and 3+4 positive as it describes. These are not too expensive if you look around, are rated for your required current and you would be using them in line with an existing standard. Not the answer you're looking for? Browse other questions tagged ac dc protection over-voltage-protection or ask your own question.